If a warrant has been issued for your arrest, then find an attorney to help you resolve the case. Don’t just wait for a law enforcement officer to come to your home or work. Even a routine traffic stop could end with you being picked up on the outstanding warrant. Be proactive. An attorney can help you determine whether the warrant is outstanding and the bond amount required by the warrant. In some cases, your attorney can file a motion to withdraw or quash the warrant. In other cases, your attorney can help you surrender and then represent you the next morning for your first appearance in court. The attorneys at Pumphrey Law are experienced criminal defense lawyers who know the criminal justice system inside and out. They can help you deal with your warrant and defend you against the underlying criminal charges. 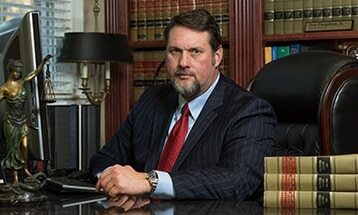 Call the attorneys at Pumphrey Law today at (850) 681-7777 to set up a free consultation to talk about your case. Pumphrey Law is proud to help people with warrants throughout the Florida Panhandle, including the entire Tallahassee area and in Leon, Wakulla or Gadsden Counties. For misdemeanors or traffic infractions, from DUI to speeding, you are ordered to be in court at a certain time and date for an arraignment. If you fail to appear in court, then the judge will issue a bench warrant, commonly called a “failure to appear” warrant. The judge will set a bond amount, which you must post before you will be released from custody. In some cases, the judge will attach a “no bond” provision to the warrant. The bench warrant allows you to be arrested wherever the police find you. If you fail to appear for your arraignment for felony charges, the judge may issue a felony warrant. A felony warrant means, similarly, that you could be arrested at any time. However, once arrested, it’s not likely that you will simply be able to pay the bond. In many cases, the failure to appear on a felony charge will result in a “no bond” warrant. In these cases, you will remain in jail until you or your lawyer can successfully argue why you deserve another bond. If you are on probation and are suspected of violating your probation, a probation violation warrant may be issued. Your probation could be violated if your probation officer alleges that you committed a new criminal offense or violated a technical condition of your probation. Another type of warrant is called a search warrant. If the judge signs a search warrant then law enforcement officers can come to your home or business to search or seize property. If the search uncovers evidence of a crime, the search might lead to an arrest warrant being issued. You do not handle a capias on your own. The only thing you can and must do is turn yourself in to the local jail if you have confirmed that a capias was issued legally for you. I tell people all the time to turn themselves in, immediately (then we deal with the judge or prosecutor at first appearance which is within 24 hours. Nobody wants to sit in jail. A warrant is a command for police to arrest you. That means if a police officer pulls you over on a routine traffic stop, runs your license information and finds a warrant for your arrest, he or she is legally obligated to arrest you – no matter what your explanation is, no matter what plans you have in the next 24 or 48 hours. Once arrested, you’ll be taken to jail, where you will wait until you are able to talk to a judge. If you’re not in Florida, that may not concern you, especially if you only have a bench warrant. But even a bench warrant can show up in a background check, making you look like someone on the run from the law to potential employers or creditors. Warrants can also negatively impact your ability to collect certain government benefits, like Social Security. A criminal defense attorney can help you resolve warrants and possibly avoid these consequences. Your attorney can represent you in proceedings, meaning you may not have to appear in court. If you have a bench warrant, he may be able to file a motion to set the warrant aside, meaning you can deal with the underlying charge without the fear of arrest or the extra bond. If it’s a felony or probation warrant, a lawyer can argue why you shouldn’t be treated in the harshest ways possible. This is a statewide database of warrants. It only contains data for warrants reported to the state, and may not contain some local information. It does not indicate whether the warrant is active. Contains information on how to do a background search to find warrants. You must physically go to the Sheriff’s Office to conduct this search. The Warrants Unit bears the responsibility of serving and executing all legal process generated by the court system. The unit serves subpoenas in criminal cases and Temporary and Final Injunctions for Protection. Officers in the unit will also track down and arrest wanted subjects on outstanding warrants. A representative from the North Florida Violent Fugitive Task Force is assigned to the warrants unit. Also, in order to enhance their success in capturing violent fugitives, local law enforcement officers serve on the U.S. Marshall’s Service North Florida Violent Fugitive Task (NFVFTF) to conduct historical background checks and stakeouts on warrants for fugitives with serious violent histories. The warrants unit is staffed by seven plainclothes civilian process servers, nine uniform deputies, two sergeants, a civilian supervisor and office staff including five full-time Judicial Services Specialist. Under Florida Statute 30.231, the sheriff’s office is allowed to charge a “reasonable fee” for the service of process. If you know a warrant has been issued for your arrest, then contact an experienced criminal defense attorney to help you resolve the case. We are experienced with cases involving different types of warrants including a beach warrant, arrest warrant, capias, search warrant, extradition warrant and failure to appear warrant. Call Pumphrey Law today at (850) 681-7777 to set up a free consultation to discuss your outstanding warrant with an experienced criminal defense attorney. We can begin your defense today. Call (850) 681-7777.